MANDA SCOTT – From Paperclip to Trump, a linear progression. What happens when there is injected directly into the body politic of a nation, the undiluted virus of fascism? This was the question posed by the closing pages of Nick Cook's enthralling non-fiction book, The Hunt for Zero Point. The concept of zero point gravity is a bit like Area 56 and Chemtrails – it's ripe for conspiracy theories - but Nick is one of those incredibly grounded people who can bring it into the realms of reality. He charts the progress of the idea, and the hunt by the world's covert agencies to find a way to create zero gravity (and so be able to harvest free energy without burning fossil fuels) from the end of the second world war to the present day. Inevitably, he touched on Operation Paperclip, and it was conversations with Nick that started me on one of the several threads that wound into my crime-thriller-come-espionage novel A Treachery of Spies. So let's look at Paperclip and why it happened. The first thing you need to grasp, is that by the end of the 1930s, Germany was two decades ahead of the rest of the world in pretty much all of the sciences: engineering, chemistry, rocketry, nuclear physics, cryptography… You name it, they had gone further, faster – and we're at a point of the exponential curve where two decades makes a significant difference. Knowing this, the US and British armies set up army units they called T-Force to go in with the advanced troops and lock down anything and everything that looked interesting. Without T-Force, important things were being destroyed. Squaddies arrived in a newly taken base and trashed everything the could lay their hands on, because the hill you took today, you might lose tomorrow, and nobody wants the bad guys to pick up this interesting piece of unknown equipment and use it to kill you. But this meant interesting pieces of unknown equipment were being ground down to metal fragments when it would have been better were they kept intact. So the T-Forces were set up. The UK version was tiny, and composed mainly of old men and casualties who had been invalided out of the army, plus teenagers too young properly to enlist. They were ill equipped and ill serviced, though they did manage to get to Denmark in time to hoist a British flag and so stop the Russians from annexing it. By contrast, the US T-Force was hugely well equipped and vastly superior in numbers. Thus, by the end of the war, the US had shipped back home 40 – count them: forty, four zero – tonnes of blueprints. They had them translated and then found that, while they could read the English, they didn't understand the science. 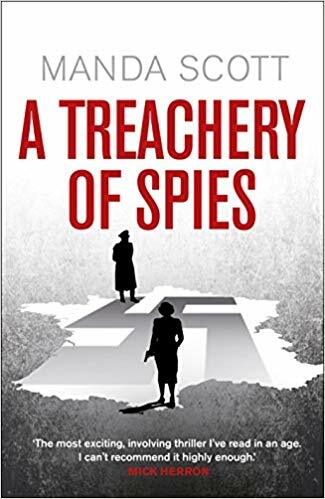 So a covert group was sent back to the chaos that was post-war Germany (before the partition) to find 1600 high ranking Nazi scientists and smuggle them out under the noses of their countrymen who had every intention of hanging them at the Nuremburg trials. These men, their families and friends were given new names, new identities – and new jobs in the higher reaches of academia, politics, and the covert agencies. They ran desks at the newly formed CIA and rocket programmes, they helped to shape States as they moved out of the era of slavery into one of apartheid. They entered academia and taught economics, science, languages. They claimed to a man (all men, of course) that they were never really followers of Hitler and they wanted to live in an American democracy, but, according to Christopher Simpson's seminal book, 'Blowback' they numbered amongst their ranks men such as Emil Augsberg, the architect of the 'Final Solution', and Gunter Reimener, the SS lieutenant in charge of the death squads in Treblinka After the war. The CIA gave Reimener a fresh identity as a Jewish survivor of the Holocaust and presumably did the same for others. We don't know all the details of all the lies they told, only that they exist and will probably never fully be unraveled. Blowback was first written in the aftermath of the Iran-Contra scandal. Nick's book was published in 2002. I started writing A Treachery of Spies in 2014 when the worst the Republican party could throw at us was Sarah Palin and the worst we thought they'd do was overturn Roe vs Wade. Now we have Trump - and The Atlantic hired Kevin Williamson who has said on the public record that women who have abortions should be hanged slowly as a deterrent to others. They fired him soon after, but only because of the outcry. The present is built on the bones of the past. 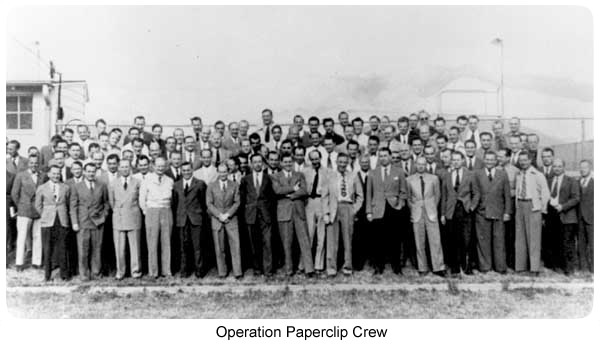 I have no doubt that some of those behind Paperclip thought they were doing the right thing, and certainly it jumpstarted American science and given that the heart of most current tech systems lies in the US military, it probably got us to where we are today. But I am equally certain that there were plenty of people in the US who thought that Hitler's only problem was that he just wasn't quite ruthless enough. They remained active in the US just as the Brownshirts did here and they have found each other over the years, and organized. If you doubt this, read Nancy MacLean's book 'Democracy in Chains' and then we'll have this conversation again. Thus, we are living with answer to Nick's question: it is all around us in the politics of the alt-right, Steve Bannon, the Koch brothers, Farage, Rees-Mogg, Fox and the Atlanticists. Anywhere and everywhere nationalism takes on the cloak of parochialism, of illiberal social and economic slants, of genuine, outright prejudice stoked against 'the other'. This is obvious, if depressing. The new question is: what do we do about it? When I started writing A Treachery of Spies, the answer was less staringly obvious and I wanted to highlight the dangers. As the writing progressed, and global politics became more polarized, this became less of a warning and more of an explanation. 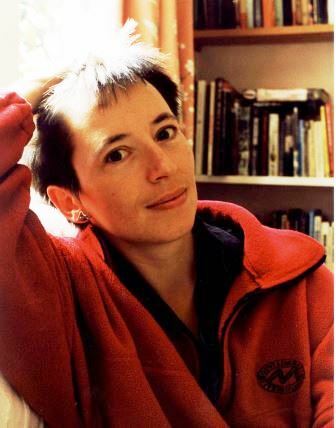 Too, I wanted to explore the moment when the West's moral compass flipped, when harbouring the likes of Reimener, Augsberg and Klaus Barbie became acceptable versions of realpolitik. I wanted to look at how those who served in France in the wild summer of 1944 - the Jedburghs, the SOE, the amazing women and men who risked the most appalling deaths in a war against inhumanity - turned into the NSA and GCHQ, the people who want to collect everything about everybody and keep it forever. I found my turning point (that's another blog) and laid out the context for the world we're living in – and had a lot of fun along the way. I also found myself staring at a new question: being overwhelmingly infected, how do we rid ourselves of this virus? That's another book.